It is a modern misconception that Ice Hockey is an American sport, it is in fact by popularity more of a Canadian sport, where it remains the national game along with lacrosse. Ice Hockey is also played across the world, particularly in Europe and Russia and effectively anywhere where there is ice for at least some of the year. The most famous and popular league is the National Hockey League (NHL), which consists of 31 teams, 24 from the USA and 7 from Canada. The NHL is split into two conferences (East and West) and each of those split into two divisions. The season runs from April until October each year with the top 12 teams competing for the championship Stanley Cup. Internationally the World Championship and the Winter Olympics represent the biggest events. NHL is the most popular league to bet on, and therefore commands the best offers and lowest margins. There are however plenty of other ice hockey leagues to wager on year round, such as the Kontinental Hockey League (formerly the Russian Superleague), which, for me, is the most fun to watch. There are also leagues in Sweden, Finland, Switzerland, Germany, Austria and many more, along with a European Champions Hockey League, giving fans something to bet on all year round. You can often watch many of these matches through live streaming too. 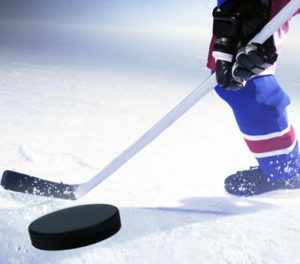 To find out the best betting sites for ice hockey offers, markets and live-streams read on. Winner have one of the best and longest standing offers for NHL, and in fact all major US Sports leagues (NBA, MBL & NFL). You can get acca insurance on all 6+ leg multiples containing a selection with odds of 1/2+ (up to £25 with refund as a free bet valid 7 days). You can also get an accumulator cash bonus on winning accas with 2+ selections, ranging from 5% extra for a double up to 50% extra for a 12+ fold. Extra payout up to £5,000. Both offers also run in parralel so if for example you had a 6+ combo and it won you would get a 20% bonus, if one leg was to let you down you would get your stake back. On top of this if you bet on your mobile on in play markets for these leagues (evens+, £10+) you will get a £10 free bet for every 20 bets placed in a calendar month and you can earn up to £200 in free bets in any one month. Winner give all customers a bonus from 5% (doubles) to 50% (12-fold+) up to £5000 (cash) combined with acca insurance giving you a stake refund (as a free bet) if one NBA lets you down up to £25 on 5+ multiples. Min odds of 1/2+ each leg. This is the only deal that covers both options giving you security if one prediction doesn’t come in along with extra winnings if all your predictions are correct. Earn more on your American and Canadian sports pre-game parlays with bet365, including regular and post-season Football, Basketball, Ice Hockey and Baseball games. You can earn a bonus of up to 50% if you place successful parlays, of 2 or more selections, combining teams in the NFL, NCAAF, CFL, NBA, NCAAB, MLB or NHL on the following 2-Way markets: Spread, Run Line, Puck Line, Game Totals, 1st and 2nd Half Point Spread, 1st and 2nd Half Totals and Money Line markets. 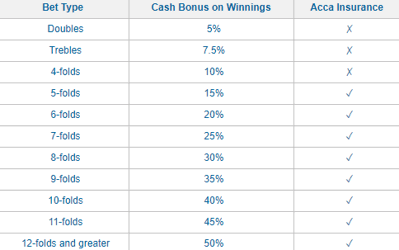 The bonus will not apply where a stake has been fully Cashed Out. Where a stake has been partially Cashed Out, the bonus will be calculated based on the remaining active stake and the maximum bonus that you can receive is £100,000 or currency equivalent. If a qualifying bet is edited using our Edit Bet feature, the bonus will be calculated based on the new stake. Where a bet has been edited to include or amend a selection for an event that is In-Play, the bonus will no longer apply. Bets placed with Bet Credits, Parlay Cards, Teasers or combination bets with bonuses such as Lucky 15’s or Lucky 31’s do not apply for this offer. T&Cs apply. Only available to new and eligible customers. You never really know what offer Betway will have for major hockey events, but you can guarantee that they will have one, which is more than can be said for most UK-facing betting sites. Previous examples include acca offers (insurance usually), linked free bets (e.g. bet so much on a game to get a free bet in play) and money back (e.g. if the game goes into overtime or if there is no goal in the game). For ice hockey punters it is a must to hold an account with betway as over time you will likely find added value. They are also one of the best for offering markets well in advance too, so if you like ante-post wagers this is the place to look. 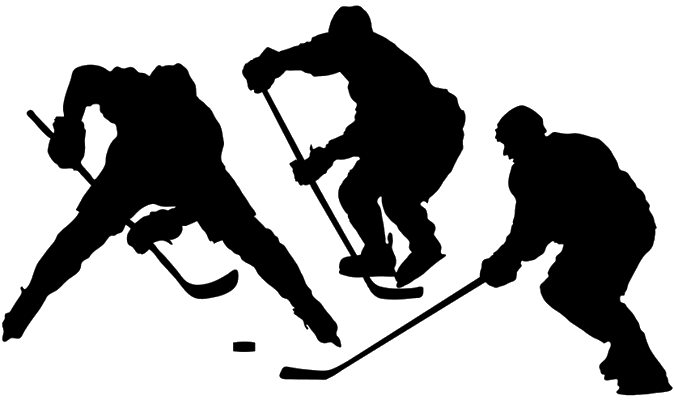 Outstanding betting site for covering more niche sports such as Ice Hockey, one of the only brands that can be relied on for ice hockey offers around the bigger events. It’s all about depth with Bet365, you won’y get flashy offers and features but you will get honest prices and a big range of markets and leagues to bet on, with advance odds too. Red Zone Sports are an American sports specialist so if you like to bet on NHL this is a must have account. Get bespoke offers but the real draw is their low margins. Permanent deals in place for betting on US Sports with high limits and loyalty rewards. Best when betting on mobile devices due to further linked promotions. Proper bookie for proper bettors, no messing around here just large markets, big coverage and more options than pretty much any other betting website in the UK. ComeOn have a more continental focus and this makes them one of the very best places to go to bet on European leagues, you can also earn loyalty points. If you want to stream hockey this is the place to bet. Unibet also have a European outlook meaning you can find much here that may not be available eslewhere. Good for prices, streaming and coverage but also accumulator deals, if you like to place multiples on ice hokey this is one of the best places to do so. Betfair are known for two things, their exceptional odds and also their streaming. There is also an exchange available where you can lay your own bet to other punters. There aren’t a huge amount of exports from Canada, with the obvious exceptions being things such as maple syrup and mounted police. In the world of sports, however, the Canadians perfected a game that likely began in the United Kingdom and made its way over to North America in the nineteenth century. It’s a game that can seem brutal to the uninitiated, perhaps known as much for the physical battles that take place off the puck as the skill that is displayed on it. Though the British know it as ‘ice hockey’, the countries where it is most popular refer to it simply as ‘hockey’, mainly because the sport of field hockey is not as popular and therefore the definition isn’t necessary. It is a sport that has a fascinating history, to say nothing of an intriguing developmental stage. Unlike the majority of sports played in North America, like American football and baseball, ice hockey has travelled quite well and is considered to be one of the most popular sports in numerous countries, with the Nordic ones being the most obvious example. Even those well-versed in different sports don’t necessarily know a huge amount about it unless they’ve made a particular effort to learn, however. For that reason, this page will have a look at the history of the sport as well as explain how its played. We’ll also have a look at the different leagues around the world and the most successful teams that have played in them since they started up. The sport known as field hockey was first mentioned in a book in 1773, though it’s likely that the game was played long before that. Indeed, pre-Christian societies will have played sports that made use of a stick and ball. It’s difficult to find a definitive origin story for ice hockey, though it’s likely that it developed out of a game known as Kolven, which was played on the ice in the Netherlands in the wake of the Middle Ages. Field hockey was almost certainly played on surfaces of ice during the seventeenth century, with an engraving in 1797 showing people on skates playing some form of hockey on a frozen River Thames. When British soldiers arrived in Canada and the US in the 1800s they brought their hockey equipment with them. The winter didn’t stop them playing their game, instead it simply took place on ice and snow. We know that because of diary entries and letters from the likes of John Franklin in 1825, who referred to ‘hockey played on the ice’ as a morning sport, and a British officer posted in Ontario who said that he’d ‘had great fun at hockey on the ice’. It’s also worth noting that the First Nations tribal of Mi’kmaq also had a game called tooadijik that was played with stick and ball. As mentioned in the introduction, it’s in the development of the game that the story of ice hockey gets truly interesting. With so many disparate versions of a stick and ball game being played around Canada and the US, it’s Montreal that we turn to to see how ice hockey as the game we know today was created. The city’s Victoria Skating Rink played host to what is widely considered to be the first properly organised indoor game in March of 1875. The links to the modern game can be seen in numerous ways, not least of which is the fact that length of the rink remains the same today as it was back then. It was also the first time a puck was used, though it wasn’t referred to with that title. The fear was that a ball or bung might not stay on the ice and so, in order to protect spectators, a flat piece of wood was used. The goals in the original game were eight feet apart, which is two foot more than the current goal size. From 1876 games played in Montreal were done under the Hockey Association rules, which was the organisation in charge of field hockey in England. In the years that followed, the game developed quickly. McGill University Hockey Club, the first ever ice hockey association, was formed in 1877 and the Quebec Hockey Club followed the year after. Changes to rules came thick and fast, too. In 1880 teams were reduced from nine down to seven, as an example. The first tournament in ice hockey worthy of the name occurred at the Winter Carnival in Montreal in 1883. By that point, two halves of thirty minutes were being played and the positions of players on the pitch had been given names. The Winter Carnival then took place on a yearly basis and when they Governor General of Canada attended in 1892 he realised that there was nothing to recognise his country’s best team at the sport. As a result he bought a trophy that was named the Dominion Hockey Challenge Cup and was later renamed as the Stanley Cup. The game’s popularity continued to grow so that by 1893 Montreal alone boasted just shy of one hundred teams. During the start of the twentieth century, ice hockey began to spread out of North America. In 1908 The Ligue Internationale de Hockey sur Glace was founded in order to govern the international side of the game; it later became the International Hockey Federation. Back on North American soil the game was turning professional, with the Western Pennsylvania Hockey League becoming the first to have professionals playing the game in 1902. The National Hockey Association was formed in 1910 and began to further define the rules of the game. That’s when it first became a game that was split into three twenty minute periods and penalties were introduced. As you might well have worked out in reading about the sport’s history, ice hockey is played with a stick and a rubberised puck. The aim of the game is to outscore your opposition by putting the puck into the back of their net more often than they put it into the back of yours. Ice hockey games still last for three periods of twenty minutes each and, as with a good chunk of sports played in North America, there seems to be a fear of a tied game. As a result, if there’s no outright winner of a match at full-time then a period of overtime will be played, during which the first team to score will be declared the winners. Firstly, let’s have a look at the surface that ice hockey games are played on. An ice rink tends to measure around sixty-one metres in length and is thirty metres wide, with the area split into three sections. There’s a centre circle in the middle of the rink in what is considered to be the ‘neutral zone’ and the other two ends are either the attacking zone or the defending zone depending on which team has the puck and which way they are trying to score. 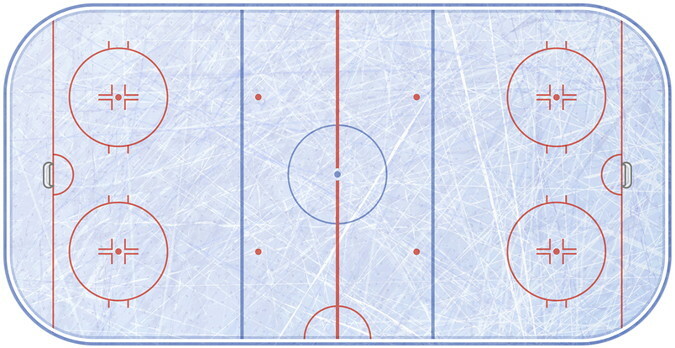 These zones contain the two goals and an end-zone face-off circle, plus the spots. The game gets underway to begin with when the referee drops the puck in between two players and they ‘face-off’ to try and win it for their team. The face-off zones at either end of the rink can be used a location to restart the game, should a stoppage occur at some point during it. That’s what it’s there for. There are numerous things that might cause a stoppage, including body-checking in the back or above shoulder height. Equally, things such as tripping an opponent with your stick, holding or hooking a player with the stick can result in a penalty. Each team has six players, one of which is the goalkeeper. The other five players all try to score a goal by any means necessary and the use of any body part with the exception of the hands is allowed in attempting to do this. You’ll doubtless have heard the phrase ‘timeout’ used in relation to ice hockey. A player who commits a minor infringement of the rules is asked to leave the ice for a period of two minutes, meaning that their team must play with five people for the duration of that time. If a major rule infringement occurs, such as fighting or inflicting injury on an opponent, then the guilty party will be removed from the ice for five minutes. Though six players take to the ice at any one time, there can be up to twenty players in a team that are used in rotation. Teams can make as many substitutions during a game as they wish to, meaning that players that have left the field of play can reenter at another point. 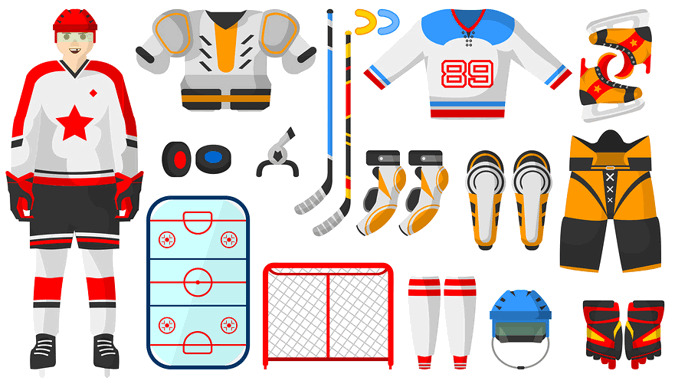 As well as skates, players tend to wear padding such as padded shorts, arm guards and gloves. 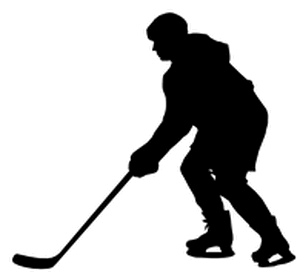 National Hockey League – There are a huge number of leagues for ice hockey based all around the world, but the most prestigious of them all is unquestionably the National Hockey League. Formed in 1917, the NHL is made up of twenty-four American teams and seven Canadian ones. They’re split into two conferences according to their geographical location and those conferences are further split into two leagues apiece. 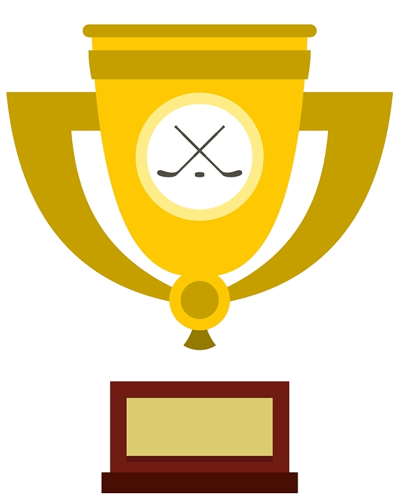 Eight teams from each conference progress to the play-offs to see who will win the Stanley Cup, the trophy for the best NHL team each season. National League – Switzerland’s equivalent to the NHL is the National League, founded as the NDA in 1938. It features twelve teams that go head-to-head throughout the season before the top eight move into the play-offs. They are used to decide which side will be declared the Swiss Champions. Kontinental Hockey League – The fact that hockey is a popular sport in the Nordic countries has been mentioned several times, but it’s demonstrated by the existence of the Kontinental Hockey League. This is made up of twenty-five clubs from countries as diverse as Finland, Russia and China and was founded in 2008. The winner of the KHL is awarded the Gagarin Cup at the end of the season, though the highest placed team in Russia is named the Champion of Russia, regardless of how they did in the KHL itself. American Hockey League – This is seen by many to be more of a developmental league for the NHL rather than a top league in its own right. Still, it is the home of thirty-one professional teams from the US and Canada and was founded in 1936. The league involves a season of games before the top sides advance to the play-offs and compete for the Calder Cup. Elite Ice Hockey League – Britain’s equivalent to the NHL is the Elite Ice Hockey League, which was founded in 2003 after its predecessor, the Ice Hockey Superleague, collapsed. Twelve teams battle it out each season and they are located across each of the four countries of the United Kingdom. There are three conferences, filed with teams from similar geographical locations to each other. The best teams progress to the play-offs and the winner is named the British Champion. Canadian Women’s Hockey League – Despite its name, the Canadian Women’s Hockey League is actually made up of teams from Canada, the United States and China. Believe it or not, the US is the country that supplies the fewest teams to the competition. It was established in 2007 and has gained more teams as the years pass. Mid-Atlantic Women’s Hockey League – There is an impressive number of women’s ice hockey leagues to speak of, with the oldest continuously running of them being the Mid-Atlantic Women’s Hockey League. It was founded in 1975 and is controlled by USA Hockey. Interestingly, the league isn’t a professional one, instead welcoming different levels of women players to its three divisions. National Women’s Hockey League – From the amateur to the professional, the National Women’s Hockey League is the first women’s league to actually pay its players. It was only set up in March of 2015 and so is a relative baby in terms of its equivalents. There are five teams that compete every year and the winners lift the Isobel Cup. Ice hockey at the Olympic Games – Believe it or not, ice hockey in the men’s game was actually introduced to the Summer Olympics first. After its debut in 1920, though, it was moved to the Winter Olympics four years later. The women’s games was introduced to The Greatest Show On Earth in 1998. World Ice Hockey Championships – Held annually this is the biggest international Ice Hockey event for national teams after the Olympics. Made up of around 40 teams over three divisions the tournament regularly draws three quarters of a million people. Held at roughly the same time as the Stanley Cup the USA come in for a lot of criticism for not sending their best players, the event is therefore usually won by Canada, Russia, Czech Replublic or Sweden and on occasion by Finland and Slovakia. Champions Hockey League – Created in 2014 this is a 6 league format tournament for the top 32 club teams from 13 countries in Europe.